What is the greatest individual performance you have ever seen a Collingwood player produce. Was it Licca’s 40 possessions on enemy territory playing on Josh Francou in the 2002 QF? Was it Peter Moores stupendous Elimination Final performance demolishing Gary Dempsey in a BOG display in 1980? Maybe Phil Carmans 11 majestic goals against St Kilda at Moorabbin in 1975 grabs your imagination? Who could blame you if you were inspired by any number of Nathan Buckley’s 35+ possession games? What is the greatest individual performance I have ever seen? I know, I know, I go on about Peter Daicos way too much, but this one particular performance is rarely talked about strangely enough, but it was pure Daicos magic and it is worth retelling here. It was 1982….and much like this year, we were inexplicably near the bottom of the ladder after a sustained period near the top. 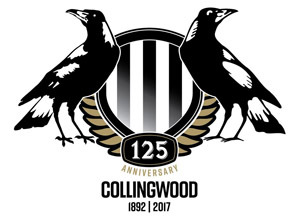 It was a bleak winter with Collingwood getting beaten week after week and the club blowing its brains out with Hafey being sacked and eventually the Hickey administration toppling. There was one bright spark through all this carnage – the precocious talents of Peter Daicos. After kicking 76 goals as a half forward in 1981, in 1982 Daicos started spending some time on ball playing as a centre man. The scene for this magic memory was at Arden Street versus glamour team North Melbourne. With Ross Glendenning on fire at CHB, North were simply killing us in the first half. To this day I have no idea what was said to Daicos at half time or how or where this burst came from, but Daicos launched a one man demolition of North. 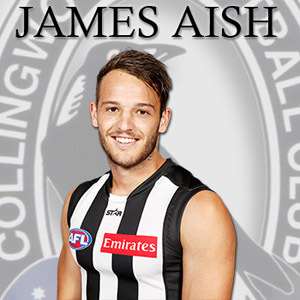 Sharking the ball from the centre hit outs, Daicos simply by passed the forward line…..instead of kicking into 50, the Marvel simply waltzed past a sea of North players like they weren’t even there and kicked a long running goal. We had seen nothing yet. ….and one more for good measure! Daicos’ one man uprising netted the great man 7 inspired goals for the quarter! Collingwood kicked 9 goals for the quarter to take a small lead at 3/4 time – Allan Edwards kicked the other two majors. Daicos was unstoppable and it seemed as if nobody could tackle him. He wasn’t fast….he simply had this aura around him that acted like a force field….nobody could lay a hand on him. As all the goals eminated from about 40-50 metres out on the run directly out of the centre, none of them were angle goals from the boundary for which Daicos was famous for and it is for this reason that perhaps this seems to be a forgotten Daicos gem that is rarely if ever discussed by fans. For the old football purists Daicos mastery that day was incomparable. Such was the inexorable nature of Daicos’ juggernaut that in one amazing incident Daicos was streaming out of the centre and drilled a handball towards a teammate….but field umpire Vas Vasilou was unable to get out of the way and the ball struck the back of umpire Vasilou as he sought evasive action. The ball remarkably bounced perfectly off Vasilou with perfect trajectory for Daicos to take the rebound without breaking stride as if he recieved a perfect one-two handball from a teammate and Daicos strode to 55 metres and casually roosted through the goal! Sadly, with Mark Weidmann snapping his wrist at the start of the last quarter and being forced from the field after playing admirably at CHF on Glendenning, the North champion now took charge and North steadied to run out winners by 15 points. However, the performance of Daicos in the third quarter is the most sustained brilliance and dominance I have witnessed in my life. 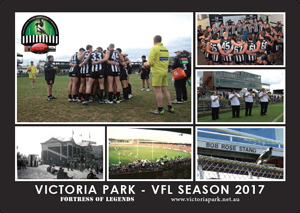 Daicos was to have many amazing days and on bigger stages than Arden Street….but nobody could touch him this day. To me, this was the greatest performance I have ever seen from a Collingwod player.